​Dr. Sean Ma grew up in San Antonio and attended the University of Texas at Austin. He received his Doctorate of Dental Surgery degree from Baylor College of Dentistry in Dallas, TX. After receiving his dental degree, he continued his education with an advanced dental residency at the University of Texas San Antonio dental school. Dr. Sean has extensive training in sedation dentistry, wisdom teeth removal, root canals, and implant dentistry. Dr. Sean takes pride in giving his patients the best options for their dental care and guiding them to make the correct decision for their oral health. Dr. Sean feels very fortunate to be able to serve in the Austin community and often gives back by volunteering at the Texas Mission of Mercy, a program that provides thousands of dollars of free dental care for Texas residents. Dr. Sean is an active member of the American Dental Association (ADA), the Texas Dental Association (TDA), and the Capital Area Dental Society (CADS). In his free time, Dr. Sean enjoys golfing, esports, and spending time with his wife and two kids. Dr. Minhha Nguyen Ma (nicknamed Minnie) was raised in Arlington, TX and attended the Texas A&M University in College Station. She then attended Baylor College of Dentistry in Dallas, TX where she earned her Doctorate in Dental Surgery. At that time, she also met and married the love of her life, Dr. Sean Ma. Dr. Minnie has received additional training in advanced dentistry at the University of Texas at San Antonio dental branch. Dr. Minnie loves to educate her patients, develop a trusting relationship, and then help them find ways to improve their dental health. Dr. Minnie has had extensive training in cosmetic, surgery, and implant dentistry. In her free time, she volunteers with the Texas Mission of Mercy, non-profit dental organizations, that provide much needed dental care for children and adults. Dr. Minnie is also an active member of the Women of Austin Dental group. Dr. Minnie is fluent in Vietnamese. In her free time, she enjoys knitting, reading, cooking and snuggling with her husband, their two kids, Ellie and Evan, and the family dog, Kerbey. 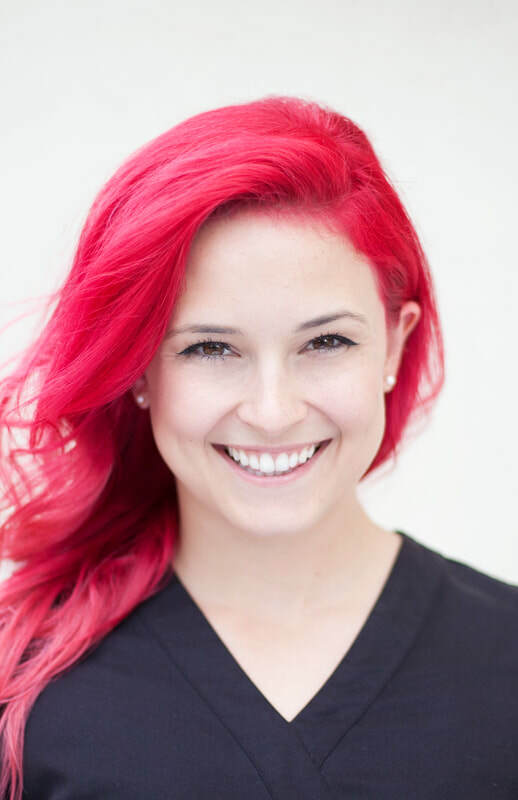 ​Ellen is our amazing hygienist and has been a part of the TRD team since 2013. She is a native of New Mexico and was inspired by her older sister, who is also a hygienist, to pursue a career in preventative health. She received her Bachelors of Science degree in dental hygiene from the University of New Mexico. Ellen has a keen interest in soft tissue abnormalities and takes much pride in her oral cancer screenings. She finds it very rewarding when she is able to develop good relationships with her patients and help them improve their oral condition which leads to improvement in her patients’ quality of life. Ellen enjoys spending time with loved ones, drawing, exploring Austin, and playing endless amounts of indoor and beach volleyball. Shawn is our much loved registered dental assistant who has been a part of the TRD team since 2014. She is very detail oriented and therefore is extremely attentive about patient comfort. In her free time, Shawn loves spending time with her husband, Zach, working out, and watching movies. She is a huge sports fan, go Red Raiders! Mercedez is our wonderful registered dental assistant. She grew up in Arlington, TX and moved to Austin in 2005. She is great at developing relationships with new patients and cultivating trust and confidence. She also takes a lot of pride in being a part of an inspiring, hard-working dental team. In her spare time Mercedez likes to spend time with her family, especially her son Bastien. She loves going to hockey games, concerts, and spending time at Lake Travis. Lindsey is our detail oriented schedule coordinator. She is originally from San Antonio but has lived in Austin for 10 years. Lindsey enjoys greeting every patient with a smile as they walk through the front door. Her personality is as bright as her red hair! In her free time, Lindsey enjoys spending time with her husband Brice, cooking and binge watching Netflix. Chrissy is our beloved treatment coordinator and has been a part of the TRD team since 2013. She excels at patient communication and helping patients to understand and improve their oral health. In her spare time, Chrissy loves to spend time with her husband, son, and their four dogs. Ken is our amazing office manager and insurance coordinator. Having worked at Dell Inc. in Round Rock and Blizzard Entertainment in Austin and Irvine, CA, Ken takes pride in bringing a successful corporate experience to a small business. He is passionate about bringing customer service to the dental field and believes that with the mentality of serving the patients, along with the expert skills of Dr. Sean and Minnie, Tech Ridge Dental can provide the best experience in dental care. Ken is also an active member of the American Association of Dental Office Managers. Having grown up in San Antonio and having attended the University of Texas at Austin, Ken is a big Spurs fan and Longhorns football fan. When possible, he enjoys traveling and exploring new destinations with his wife, Mai.